Forgive the autobiographical nature of this post, but here’s a recap on how I started down the path to becoming an infectious disease (ID) doctor. To begin, understand that my first year of medical school was rough going. In hindsight, this wasn’t surprising. After majoring in English during college (with a minor in the Harvard Lampoon to develop good study habits, ha ha ha), then spending a year abroad teaching, I found medical school’s unrelenting science courses and lecture hours an unpleasant blend of overwhelming and tedious. Meanwhile, most of my classmates were cruising — including my future spouse, who attended all the lectures, took meticulous notes in colored pencil, and aced every test. Any jealousy I felt about her breezing through the first year of med school was more than compensated for by gratitude. It’s hard to imagine I’d have made it to the second year without her. And so glad I stuck around, because our second-year microbiology course gave me a strong signal that I might actually like this medical business. Led by the articulate and worldly Dr. Arnold Weinberg, and ably taught by other superb teachers and section leaders, the course was endlessly stimulating, the very opposite of the metabolic pathways I had (barely) memorized during first-year biochemistry. I looked forward to every microbiology lecture and every lab. Each disease had a story. The legionnaires’ convention in Philadelphia, the contaminated cooling tower of the hotel’s air conditioning system, and the (appropriately named) new disease due to Legionella pneumophila! The makers of gefilte fish at home who later developed Diphyllobothrium latum! The river rafters from Ethiopia who developed fever, myalgias, and eosinophilia and were ultimately diagnosed with Schistosoma mansoni! The visitor to the deserts of southern California with fever, pneumonia, skin lesions, and Coccidioides immitis! The names of the bugs were so poetic. Just look at that previous paragraph — each microbe a musical mouthful of letters and syllables. Even the more common bugs sounded exotic and fascinating to my ears: Streptococcus pyogenes, Enterobacter (now Klebsiella) aerogenes, Staphylococcus saprophyticus, Pseudomonas aeruginosa, Plasmodium falciparum. Just read those names out loud — heaven! And does anything sound scarier than Toxoplasma gondii? Even the lab was fun. My experience in science labs had at that point been limited to dry exercises in organic chemistry as an undergraduate, and some snooze-worthy histology and pathology labs during first year of medical school. Microbiology lab, however, was a whole new ballgame — culture plates, strange smells, actually seeing the bacteria and parasites under the microscope, and helminths in clear vials. It didn’t hurt that one of my section leaders was the extraordinary pathologist Dr. Franz von Lichtenberg. Franz’s enthusiasm for the material was 100 percent communicable — and yes, I chose that word intentionally. This new, mysterious disease — AIDS — had just been identified. It was during microbiology that we first had lectures on this new problem. We didn’t know yet what caused AIDS, but a sexually- and blood-transmitted infection seemed likely — one of our lecturers posited that it would be cytomegalovirus. (He was wrong.) Plus, the vast majority of the complications were infectious, most of them rarely seen in patients with normal immune systems. 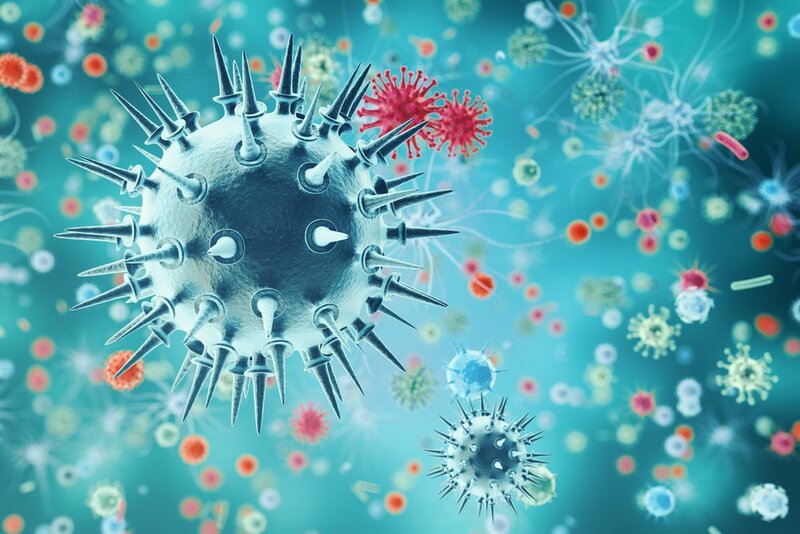 Could there be anything more fascinating — and important — than an infectious disease that could be rapidly lethal in previously healthy people? After microbiology, the rest of medicine became much more interesting. Cardiology had endocarditis and rheumatic fever; pulmonary had pneumonia, empyema, and lung abscess; renal had pyelonephritis; neurology had meningitis, encephalitis, and brain abscess. You get the idea. Everyone I knew thought I’d end up an ID specialist. After all, I was the only one who had memorized all of the oral and intravenous cephalosporins, a party trick I still bring out for the right company if they ask nicely. And after a brief flirtation with cardiology, I haven’t regretted my choice of ID one bit. Paul Sax is an infectious disease physician who blogs HIV and ID Observations, a part of NEJM Journal Watch.